Norwegian Cruise Line announced that its next new vessel, to be launched in 2018, will be the first cruise ship custom-built with features and amenities specifically designed for the Alaska cruise experience. The ship, named Norwegian Bliss, will make its seasonal home port in Seattle for cruises to America’s Last Frontier. It will also be the first Norwegian Cruise Line ship to make its debut in the Emerald City. “Norwegian was the first cruise line to begin cruising to Alaska from Seattle in 2000 and it’s only fitting that we bring our newest ship, Norwegian Bliss, directly to this incredible location,” Andy Stuart, president and CEO of Norwegian Cruise Line (NASDAQ:NCLH) said at a ceremony at Seattle’s Pier 66, noting that Alaska is one of the top destinations for the cruise line’s guests. The third ship in the line’s Breakaway-Plus class, Norwegian Bliss weighs in at approximately 167,800 gross tons and accommodating 4,000 guests. The ship will be constructed at MEYER WERFT in Papenburg, Germany and scheduled for delivery in the spring of 2018. 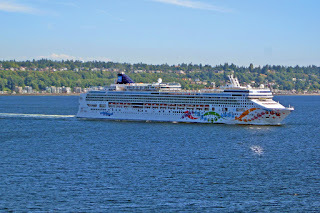 After a transatlantic cruise and a Panama Canal transit through the new locks, the ship will sail north along the West Coast, reaching Seattle for the start of the summer cruising season. Norwegian Bliss will offer seven-day Alaska cruises, leaving each Saturday from Seattle’s Pier 66 in Seattle. 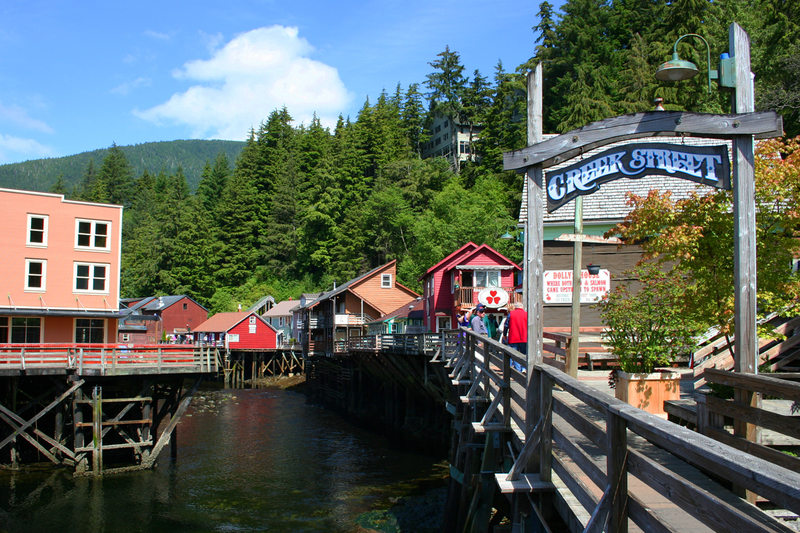 The ship’s itinerary will feature calls in Ketchikan, Juneau, Skagway and Victoria, British Columbia, along with scenic glacier cruising. 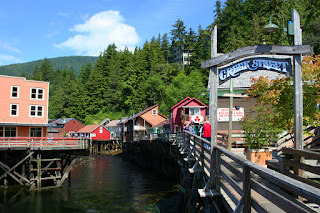 Those specific ports of call comprise a very popular itinerary for many of the cruise lines that call on Seattle during the summer, including Princess Cruises, which we experienced during the season just ended. As with its other ships, the cruise line will continue its tradition of decorating each ship’s hull with signature art. The Norwegian Bliss will feature the work of Wyland, a well-known marine life artist, who has been commissioned to design the hull artwork for the new ship. Known for his iconic whale murals, marine life paintings and sculptures, Wyland has inspired generations to be passionate about the importance of marine life conservation. The enormous extent of Wyland’s public artworks, his award-winning art galleries and his non-profit foundation’s community service projects have made him one of the world’s most recognized and beloved artists, according to the cruise line. 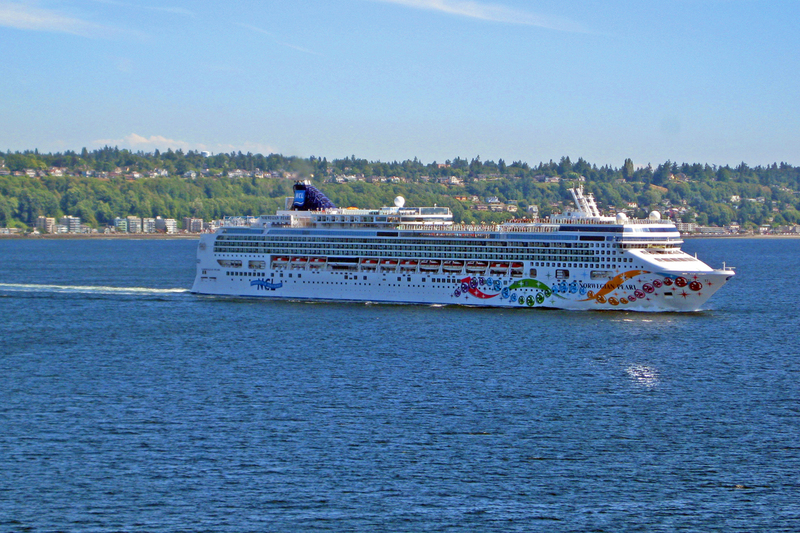 In addition to bringing an additional ship to the Seattle waterfront during the summer sailing season, Norwegian Cruise Line Holdings will be partnering with the Port of Seattle to collectively invest $30 million to improve the facilities at Pier 66. Upgrades will include expanding the guest check-in space by 300 percent, to more than 150,000 square feet. A new VIP lounge with expansive views of Elliott Bay will be constructed and two new elevated passenger boarding bridges will be added to make passenger boarding easier and more comfortable. Norwegian Bliss will be available for reservations in January 2017. More information on Norwegian Bliss is available at bliss.ncl.com. Thank you! This is a good post. Unfortunately,I do not travel much. Although I`m fond of seeing new places and meeting different people, usually I do it only once a year. My last trip was to Antarctica. I prefer this cruises https://poseidonexpeditions.com/ships/ cuz, it`s not expensive for me.